Due to popular demand, we are starting our new series of articles on commercial wedding photography. Since I have been helping out my wife with her wedding business, being a second shooter during weddings and engagement sessions, I have been writing down some helpful tips, which I am planning to provide on Photography Life. These tips range from very basic things like preparing for the wedding day, to complex setups involving specific situations, like setting up flashes indoors. Our first wedding photography tip is about properly synchronizing time on cameras when working with second shooters and assistants. If you have been commercially photographing weddings, you might have already been frustrated to see photographs from multiple cameras get mixed up when you import them to an Aperture or Lightroom catalog. It is not pleasant to see ceremony images mixed with images from the dance floor and it is certainly not fun to try to go through hundreds, if not thousands of photos and sort through them one by one. Gladly, there are workarounds to situations where it had already happened, which I will share with you in this article. First things first, let’s talk about the proper way to synchronize time between multiple cameras. The easiest method that works every time for us and many others, is to have each person hold his/her camera, get into the camera menu and set specific time. On Nikon DSLRs, for example, time can be changed via “Setup Menu”->”Time Zone and Date” or “Setup Menu”->”World Time”->”Date and Time”. Once time is set to an exact hour, minute and second, everyone in the party must press the “OK” button at the same time. This will make sure that the timer starts at that exact time on every camera. If you use two cameras yourself, just set the time on each camera, then press the OK button simultaneously. The idea is to have the time set exactly the same, second to second, across all cameras, so that shots appear in proper order later. The set time does not have to match real time. As long as all cameras have the same clock time, your images will appear in correct order when post-processing them later. Another method is to photograph a clock that displays hour, minute and second. You don’t have to do this on all cameras at once and time settings do not matter – just point each camera at the same clock and take a picture. Since you have an image of the actual time in every camera, you can then re-adjust the recorded time in images later. The last method, which is slightly more cumbersome, is to shoot an image across all cameras at the same time at some point during the wedding. This could be during a lunch break or at the end of the wedding when you are packing your gear and getting ready to leave. Just point all cameras at the same subject, so that you know which frame you will use as a reference. Time differences between cameras then won’t matter, because you will be able to adjust the time later (read on to see how). If you forgot to sync time between different cameras or used other methods to “sync” cameras, there is a relatively quick way to adjust time across many photos at once via software. Lightroom has a built-in functionality to adjust time, whether you shot in RAW or JPEG. If you do not use Lightroom, you can use other third party tools such as ACDSee Pro (my favorite image viewing software) and EXIF Date Changer to adjust / offset time. Many third party tools, however, won’t be able to adjust time in RAW files and require JPEG images instead, which is why I prefer to do it in Lightroom. Now you can click on individual serial numbers to make Lightroom only display images from a specific camera. The next step is to select all photographs that need to be adjusted. You can do that by going to “Edit”->”Select All” in the main menu or by pressing CTRL+A keyboard shortcut. 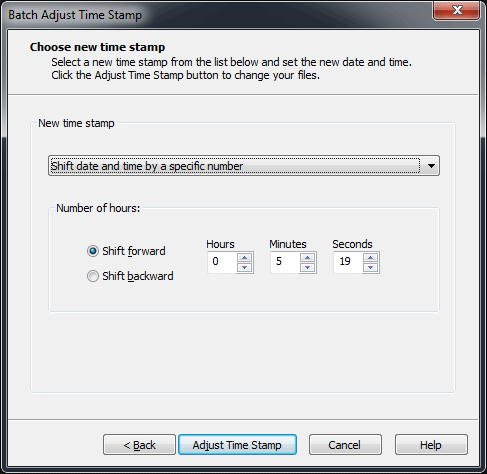 Before you click the “Change All” button, which will kick off the time change process, make sure that the new date/time information is correct. Keep in mind that this process cannot be undone – it will permanently overwrite the date/time data stored in each image. Once the date and time changes are written, you can go back to the filter bar in Lightroom and select “All”, so that Lightroom shows you all images. Now make sure that your view is sorted by capture time (“View”->”Sort”->”Capture Time”), then review the order of the images – they should appear correctly for the images that we have just adjusted. Repeat the process for each camera that was used. 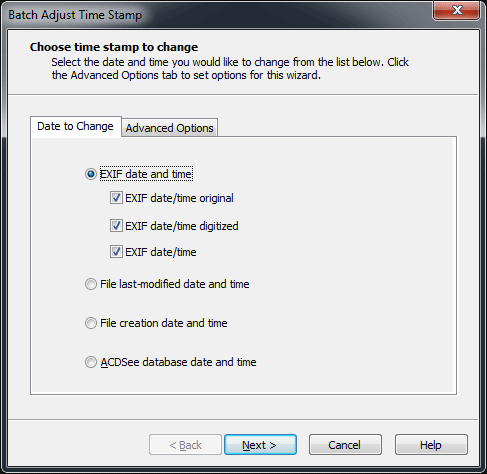 ACDSee will then go through each file and modify the time by the specified offset. You could also use gps4cam for this. No need to set times of cameras individually, automatically set time stamps according to highly accurate GPS clock. An added bonus is GPS tagging of your images. Niklas, thanks for the info on the app! I have not tried it yet, but sounds interesting. The only problem is, like you pointed out starting the app before you shoot and figure out a way to sync all cameras at once. And then there is the question of phone – what if you lose it or the battery runs out. I think the safest method is to simply sync time across all cameras with the #1 method I talked about above. I highly recommended trying it out, but the workflow is quite easy. After shooting, the app generates a QR code. You take a picture of this QR code with all the cameras you have used. This QR code is then used by the desktop app to add GPS information and correct timestamps of all images. This also works when you shoot images in different time zones and forget to change the camera time. It is similar to your alternative method of all cameras taking a picture something simultaneously, but much easier in practice since it is automated. One final (?) note on gps4cam (and other apps that can probably do this as well). Even if you forgot to start the app beforehand (or your phone was low on battery) you can start it after the photo session just to generate the QR code to set timestamps. You will of course not get GPS tagging, but you will get synchronized (and correct) timestamps. Hey Nasim, thanks for the instructions on how to edit the time. I just started to use Lightroom. 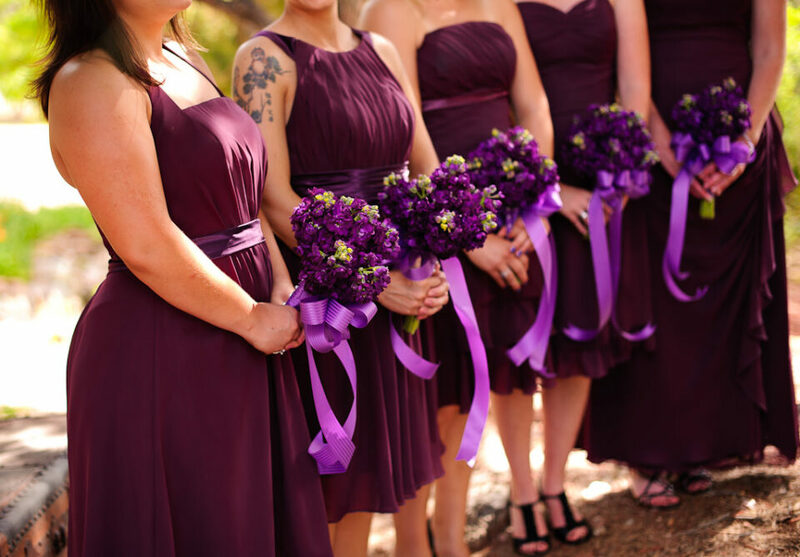 And this tip is not only helpful for Weddings but everywhere you have more than one camera. I usually mix up times crossing time zones and then not changing the settings later. I almost deleted your email when I read the title because i thought you were just gonna offer rather boring and basic advice ………. to sync camera clocks; which is pretty obvious. But upon reading your entire blog post I found it very useful, especially as now knowing about the Lightroom sync method I don’t have to change my cam clocks to that of the main shooter if I am second shooting (I have all of my five cameras set to GMT and that’s how I leave them year in year out to avoid the mess of forgetting turn the clocks backwards and forwards at the start and end of winter). Thanks for a very useful blog post. Glad you found the article useful, thanks for your feedback! Easy way to sync cameras is using Control Camera Pro, it works for Nikon, it is not necessarily cheap but let you sync camera clock with computer clock. Hi Nasim, I understood that you work with multiple cameras and individuals, my idea and what I do when I travel with multiple cameras is sync time on all of them with computer time. As I told it works with CCPro if you use nikon DSLR gear. I found it easier than looking at one camera clock, setting the other and waiting to press enter at the camera itself. I am not a wedding photographer, I don’t know if all cameras belongs to one individual or if the assistant provides his (her) camera, but if you OWN ALL the cameras this method is less time consuming and more expensive (CCPro is not free). In addition CCPro works with any Nikon DSLR you connect, at least the new ones. It is not limited to just one camera per license. Thanks for your reply. Adjusting time in post will not change the time stamp on RAW files. If you lose LR catalog we have to start allover. That is why I prefer method 1 where we set the clocks to correct time. When I am traveling I change the clocks before I reach the destination. 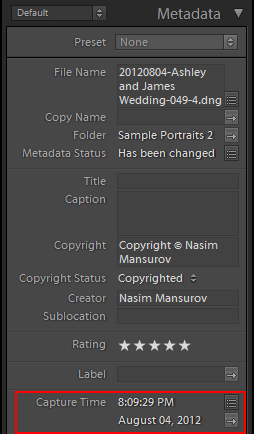 Chris, if you check the option to write changes to RAW files, Lightroom will either do this in a sidecar XMP file or will overwrite the date in the DNG file. I import images as DNG files, so it will change the date. But you are right – setting the clock to correct time is better. This is a great tip. I have been shooting with time sync cameras on weddings for a while. Once I forgot and found it a nightmare. Glad to know I can change the time to sync in Lightroom. Tim, you are most welcome! That’s the very reason why, as I said in my earlier post above, I don’t bother messing with the times. I have a “master camera” and all my other cams are set to the time on that camera and the time-zone set on that “master camera” is GMT. I never bother re-setting them for summer/winter daylight savings or different time zones as there is just too much opportunity to forget to reset times, or set some and not the other. What’s good about the tips in this blog, Nasin’s and Niklas Morberg’s, is that I can continue to steadfastly refuse to change my cam clocks knowing that i can either change the time in post-production or the person/s I hand my images over to can do it themselves. I think this is a much more secure way of doing things than relying on one’s memory to fiddle with camera clocks back and forth and I would much rather batch-process the time on a series of images than muck around with the clocks on five cameras. I didn’t know about this feature in Lightroom. Thanks Nasim! I was just trying to set the time right on my holiday pictures. I forgot to set the right time zone. But Light room doesn’t save the changes as soon as I go to another picture. I am using RAW files instead of DNG. Is that the problem? great tips. But how can I avoid that the number of the pictures will cross each other? For example I have a D600 (stands about picture number 950) and a D810 (stands at picture number 640). In the near future it could happen that when I shoot with both cameras the numbers will cross. And if that happens I will run into big trouble when importing into the same lightroom folder. For Canon and Nikon cameras you can sync them with the world clock using EOS Utility or Nikon Transfer (2). I shot a whole wedding with one camera an hour ahead of the other, being able to change the capture time in LR like this saved me a huge amount of time in manually re-ordering them! Thanks. I used EXIF Date Changer. If you filter by camera using windows explorer first and divide the photos into separate folders, then you can just use the free version.